Western Shelter has supported life in the face of adverse conditions since 1988. 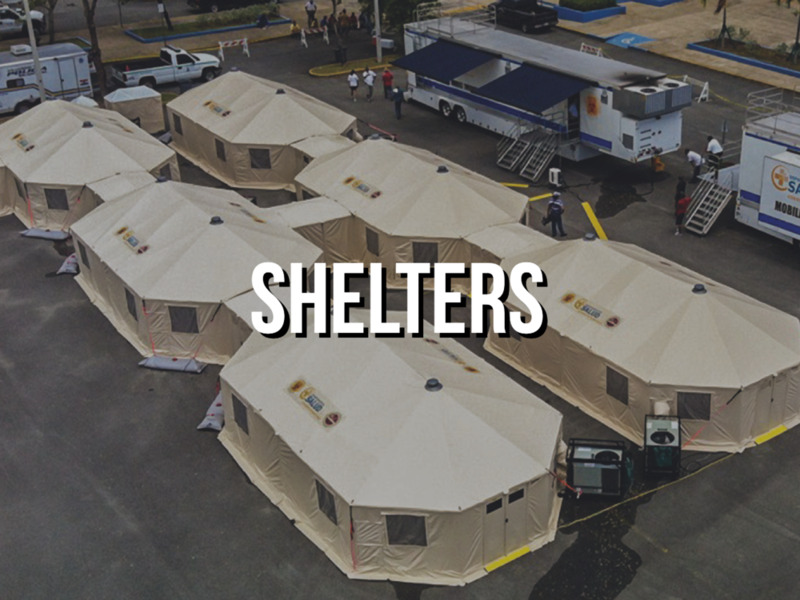 We are dedicated to building the toughest shelters and field support systems on the market, and pride ourselves on providing safe and comfortable working environments for our customers around the globe. 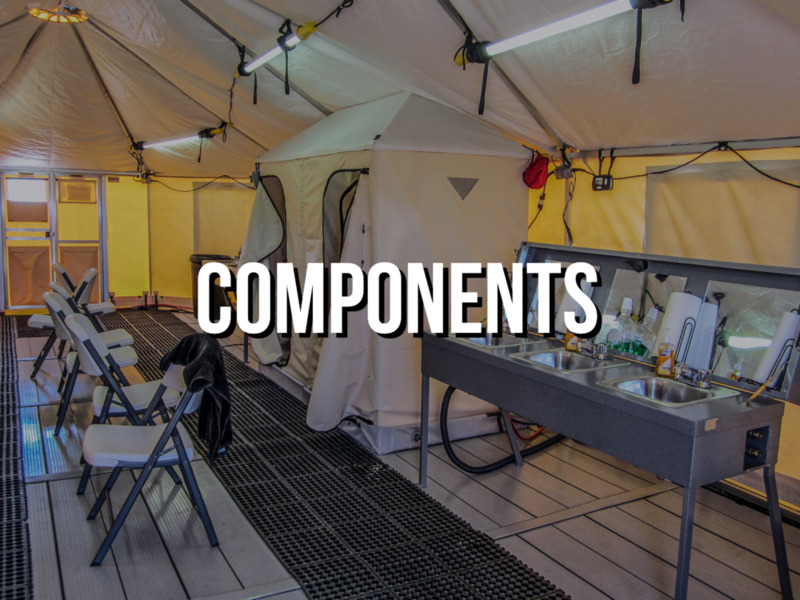 The Western Shelter System has been proven to reliably support field applications that range from temporary housing camps, bases of operation, mobile field hospitals, and many more. Our eastern U.S. sales manager Jayson was in West Palm Beach, Florida recently for training with the ESF-8 Health and Medical Team. The team set up their cache of trailers and shelters, which (unsurprisingly) remained in great shape. A cache of new Western Shelters recently were set up for the first time in sunny California, deployed for the installation at the Morongo Band of Mission Indians reservation. This week, the Western Shelter team will be in Indianapolis at FDIC International 2019. It’s our first time displaying at FDIC in several years, and we couldn’t be more excited to show off a unique combination of products. Creating complete camp solutions is in our DNA. Having our soft-sided shelter and mobility operations under one roof means we have the capabilities to build everything needed for large man camps at a singular facility. The Western Shelter Mobility team has kicked off 2019 in a big way. We're pumping out field hospitals, medical clinics, StrongBox gym containers, custom projects, and more. The Western Shelter Mobility team continues to stay busy. Most recently, the team completed a pair of Air National Guard recruiting trailers. The trailers feature an identical core design but differ slightly with their configured options and appearance. With the spring weather comes outdoor activities, often that gather large crowds. Festivals, sporting events, and all sorts of gatherings require thorough planning - unless you want your event to go the way of the Fyre Festival. What would it actually take to pull off the Fyre Festival’s infrastructure using mostly Western Shelter products? We did the math to find out. We are excited to introduce the Western Shelter StrongBox Ruggedized Strength Training System, an all-in-one performance fitness solution created anchored by a secure container. The StrongBox R.S.T.S. contains everything needed to get a total, full-body workout in the field. For a few weeks each July, a handful of Western Shelters help transform a remote stretch of the Yukon-Kuskokwim Delta in Alaska into a full fledged climate research operation. First responders are the first on scene; it’s in their job title. Taking care of those who selflessly take care of us should never be an afterthought. Proper time and equipment should always be dedicated to treat our first responders in emergency situations. This past week, the Western Shelter team was in Brussels, Belgium, exhibiting at AidEx 2018. It was great to talk with partners about what we can provide to the international humanitarian assistance market, as well as see the unique things that other companies are doing in this space. The latest trailer from Western Shelter Mobility is full of custom specifications that you won’t find on most off-the-lot trailers. Our talented design teamed work closely with our customer to create a trailer that checked all of the required boxes, while still fitting within a tight budget. Winter is coming, and with it brings a whole host of new challenges to those already operating in tough field conditions. We manufacture a wide range of shelter components designed to make working in the winter safer and more comfortable. Custom projects are our specialty, and the Western Shelter Mobility team just finished up another one. These Tool Storage Containers are shipping off from our factory this week, and a great example of how our team is able to create projects catered to our customers’ unique needs. The camp created for the Nuevo León Protección Civil is set up for approximately 100 personnel. At its core, the camp is composed of six GateKeeper 1935 shelters, all interconnected with vestibules and other shelter additions. Last week, local Eugene students visited our factory to see how the skills that they’re learning in math class ultimately will translate to the real world. We are actively tracking Hurricane Florence as it makes its way towards the Carolinas. This storm has the potential to be very damaging; please heed the advice of your local authorities, and if you are in a mandatory evacuation zone, evacuate. Every fire season, Western Shelters can be scene dotting the landscape around the western states. We got our start as a business providing our shelters to fire camps in the Pacific Northwest, and this week we had the opportunity to visit one of those such camps. The Western Shelter team just returned from New Orleans, where we had a great time exhibiting at NGAUS 140th General Conference & Exhibition. At Western Shelter, we've always prided ourselves on providing complete solutions, rather than just offering a piece of a larger puzzle. One of the areas that we excel at is providing systems to meet the power needs of operations large and small, in urban and remote areas. From basic extension cords to large generators that support entire field hospitals, we are able to provide it all. A new solar power package is now available as an option on any of our trailer products. This unit is off to the desert where it plans to soak up the sun and power a command center in its first mission. After several months of research, development, and testing, we are proud to announce that the Sentry Airframe is now available for purchase. The first production models of this revolutionary new shelter are going out the door. While the 2018 Atlantic season is forecasted to be less active than in previous years, the potential for another difficult season remains high. While it might not be possible to make hurricane season easier, proper preparation may make it more manageable.